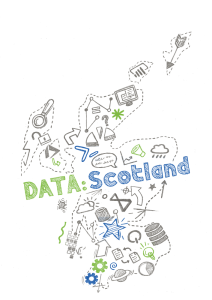 DATA:Scotland (SQLGLA Ltd) is a community event, organised by volunteers. We created this event to allow people to meet peers, network & learn in a friendly, inclusive environment. All participants (attendees, speakers, sponsors, organisers and volunteers) are expected to show respect and courtesy to others throughout the conference by adhering to the following Code of Conduct. You can report an incident anonymously through our Contact Us page or using any of the contact methods included in our event emails. Our conference is dedicated to providing a harassment-free conference experience for everyone, regardless of gender, gender identity and expression, age, sexual orientation, disability, physical appearance, body size, race, ethnicity, religion (or lack thereof), or technology choices. We do not tolerate harassment of conference participants in any form. Sexual language and imagery is not appropriate for any conference venue, including talks, workshops, parties, Twitter and other online media. Conference participants violating these rules may be expelled from the conference at the discretion of the conference organisers. We will investigate all incidents reported at our event with discretion and confidentiality. We reserve the right to bar any person who violates our Code of Conduct from attending the current or any future DATA:Scotland (SQLGLA Ltd) events.